Hossein Derakhshan is an Iranian-Canadian author, blogger, and media analyst. Dubbed as the 'Blogfather of Iran', he spent six years in prison in Iran from 2008. He writes about Iran, media and technology at hoder.com, Twitter (h0d3r), and Medium (h0d3r). He is the author of 'The Web We Have to Save' (Matter, 2015). (A German translation of the article was published by Die Zeit). He is also the creator of Link-age, an art project to promote hyperlinks and open web at the New Media Society in Tehran. 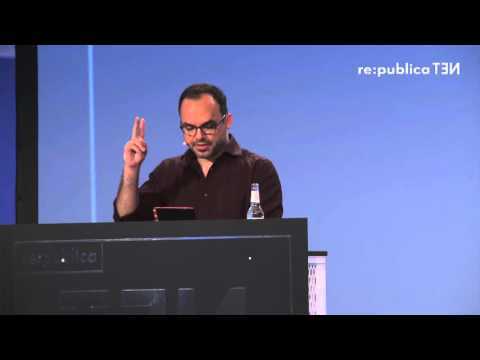 re:publica 2016 – Hossein Derakhshan: The post-Web Internet: Is this (the future of) television? The post-Web Internet: Is this (the future of) television?